Although many Year 2 teachers feel that they would like a break from teaching Florence Nightingale in history at KS1, they cannot deny that she does indisputably provide an excellent context for the development of a variety of important skills and concepts in history. Pupils learn about sequence, duration and consequences. 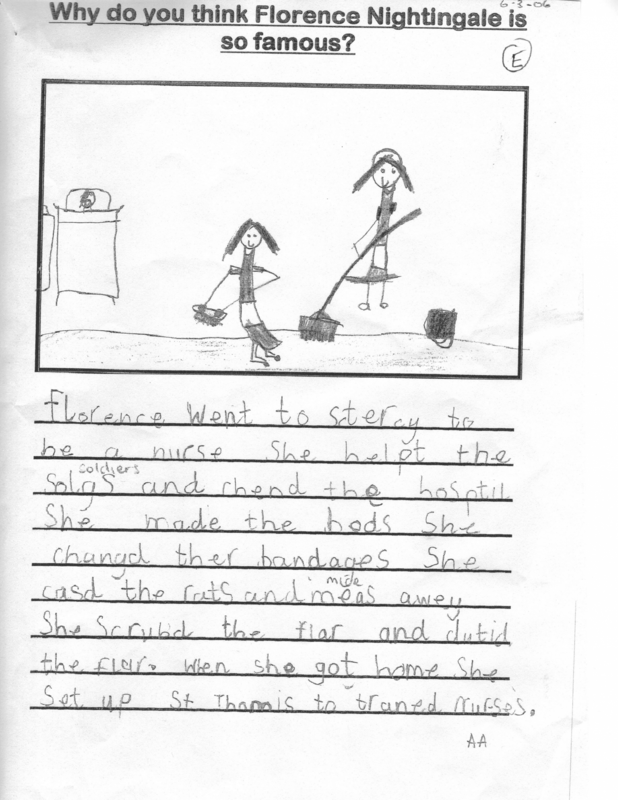 They can appreciate that there are different interpretations of Florence Nightingale and can, through role play, appreciate the different attitudes people had towards her in the past. There are a wide range of lessons here to feed the wide demand and a downloadable planner in the medium term planning section. 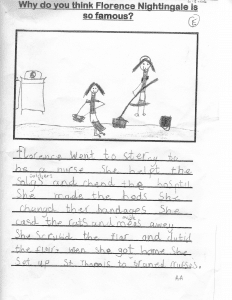 The one of the different stages of Florence’s life provides an excellent context for numeracy, so that children see the relative lengths of time Florence spent doing different things in her life. Comparisons with Mary Seacole offer an excellent context for discussion of the theme of fairness, and pupils can be really creative in their work on how the contribution of the two women should be commemorated. This lesson is the second featuring Mary Seacole. In the first her role was compared with Florence Nightingale's. The focus now shifts to asking two key questions: which was Mary Seacole's greatest achievement ; why is she not remembered as well as Florence? Who said it? / Who am I? This simple task encourages children to spot the differences between Florence Nightingale and Mary Seacole.